Kathy is a registered Pediatric Physical Therapist who received her B.S. degree in Physical Therapy from the University of Maryland in 1979. Her first job was working for California Children's Services at the La Puente MTU. After 2 years, she began a 10-year assignment at Children's Hospital of Los Angeles, where she worked with children who had a wide range of illnesses and disabilities. In 1990, she received a Masters Degree in Exercise Physiology from CSUN. She promptly retired to raise her three children and run her husband's business in Orthotics and Prosthetics. 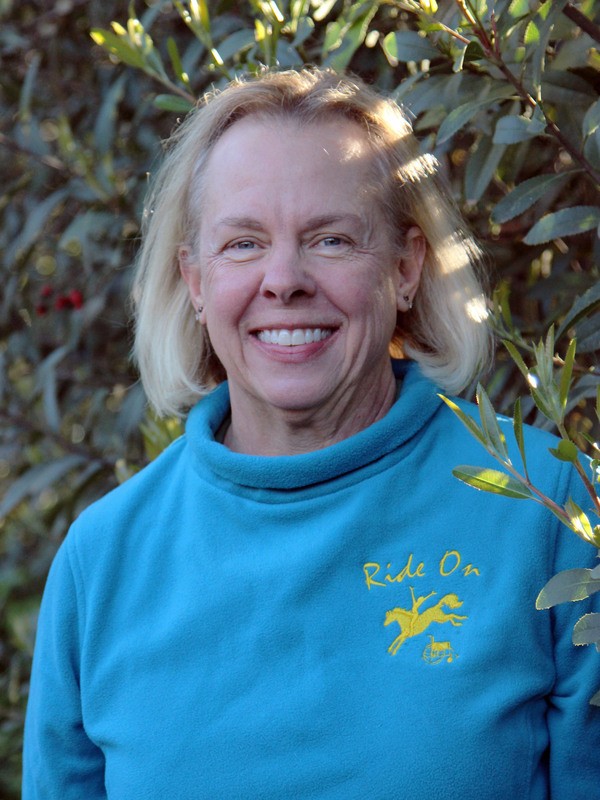 Kathy volunteered at Ride On for many years, working closely with the staff physical therapist. She got certified in Level 1 Hippotherapy (HPOT) in 2010 and later completed her Level II HPOT certification. She has been a staff Physical Therapist at Ride On since October 2016 and couldn't be happier to be a practicing therapist again!